There are a number of ways to profit in Winnipeg’s ‘slow and steady’ real estate market. One is to buy and flip houses, and another is buying rental properties. In a slower market, this second method works well for those who are willing to take a longer position in their portfolio. Not quick money, but steady income and an eventual windfall when you sell 5-10 yrs. down the road. The idea is that initially, the investor is able to collect enough money to cover his expenses. Hopefully with a small profit at the end of each year. 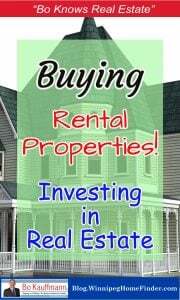 As the value of the home or condo increases, and rental rates increase along with it, the return improves over time. Then, a number of years down the road, the home should have increased by 15-25% in value. If the owner decides to sell, he will realize a nice profit at that time. 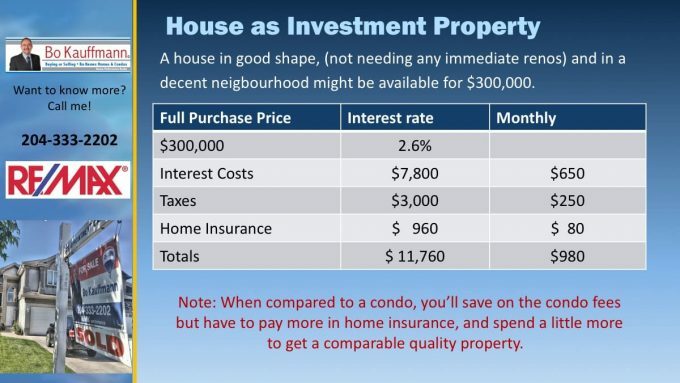 As you can see, a lot depends on those condo fees. 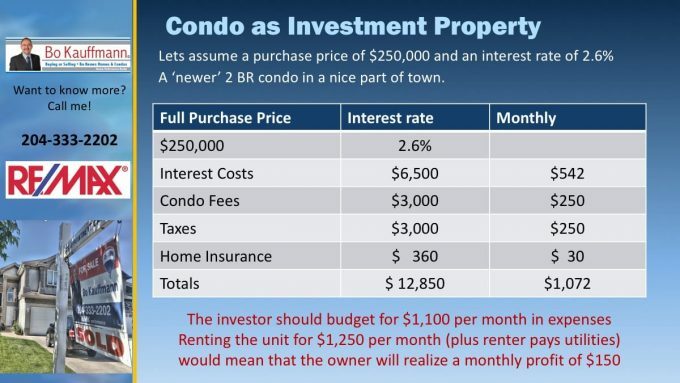 In this example, the property owner may realize a monthly profit of $150, however he should also budget for temporary vacancies, any possible repairs or condo special assessments and other expenses. A client of mine owns a similar home and collects $1,500 per month in rent, plus the tenant pays for their own utilities. Now we are looking at approx. $500 per month profit, or a return of approx. 150% on their $980 expense. For the investor, these numbers are very encouraging. Basically it amounts to 214% return on their low monthly investment. Low outlay up front, and a great return in monthly rental income. These lower-priced homes are excellent potential rental properties. What about Lawyer fees and realator fees and Capitol gains? Hi Michelle: great comment and question. For lawyers fees, to buy a home, Im telling buyers to budget ‘around $1,000’. For buying a home, there are no realtor-fees, as those are included and paid by the seller of the home. Of course, you will have to declare the net income on your income tax, and when you sell the property, you will have to claim something on Capital Gains… I will leave that subject up for your accountant to discuss. 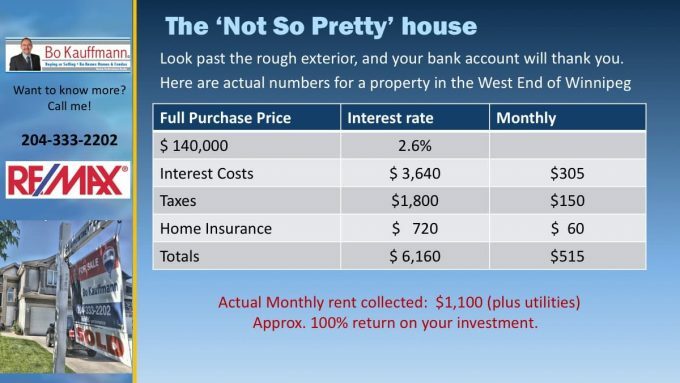 Correct… That’s part of the closing costs. The 300,000 dollar home would be $3,730. The $140,000 would be $800.